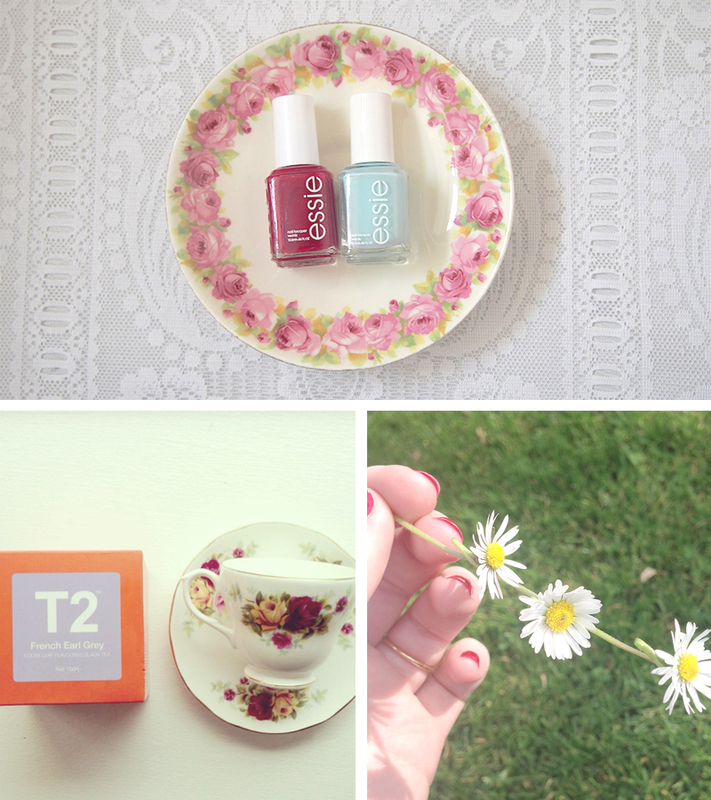 LOVE | As you might have gathered from this post, I have really been loving Essie nail polishes lately. Above are the shades Forever Yummy and Mint Candy Apple. I love both! Hoping to add a few more lovely shades to my collection soon. EAT | Something I have been eating (well technically drinking) a lot lately is T2 Tea, in particular French earl grey. I love a good earl grey and this one is extra special, as it has a delicious floral flavour with petals even mixed through the tea leaves. Definitely one of my favourites! MAKE | Yesterday afternoon I went to the park with the kids I nanny and we sat in the afternoon sun making daisy chains. It was so relaxing, and made me very excited for spring!